An exclusive 10% off discount code at Cadbury Gifts Direct just in time for Easter! Offer a great selection of Cadbury Easter Eggs, Easter Gifts and more. Voucher code to use is HAPPY10 and is valid NOW until 23rd March at Cadbury Gifts Direct. Cadburys Gifts Direct offer a wide range of great Cadbury chocolates and products. 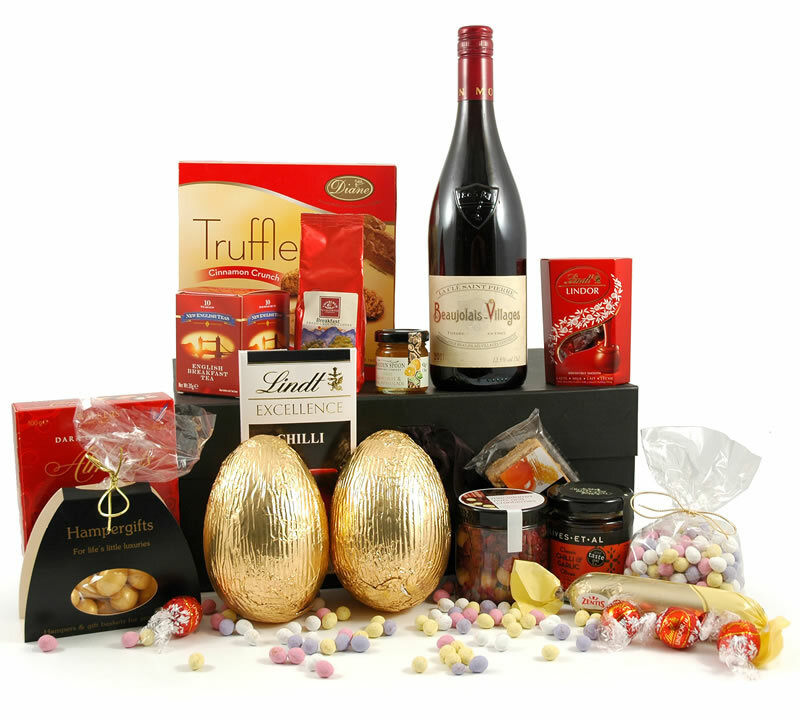 Offers everthing from single bars or bags of Cadburys favourites to mixed hampers including chocolate, flower and wine gifts. Features a ‘pick and mix’ section to create your own unique Cadbury hamper. The website also features a personalised service, allowing you to add names and pictures to Dairy Milk and Milk Tray packaging! 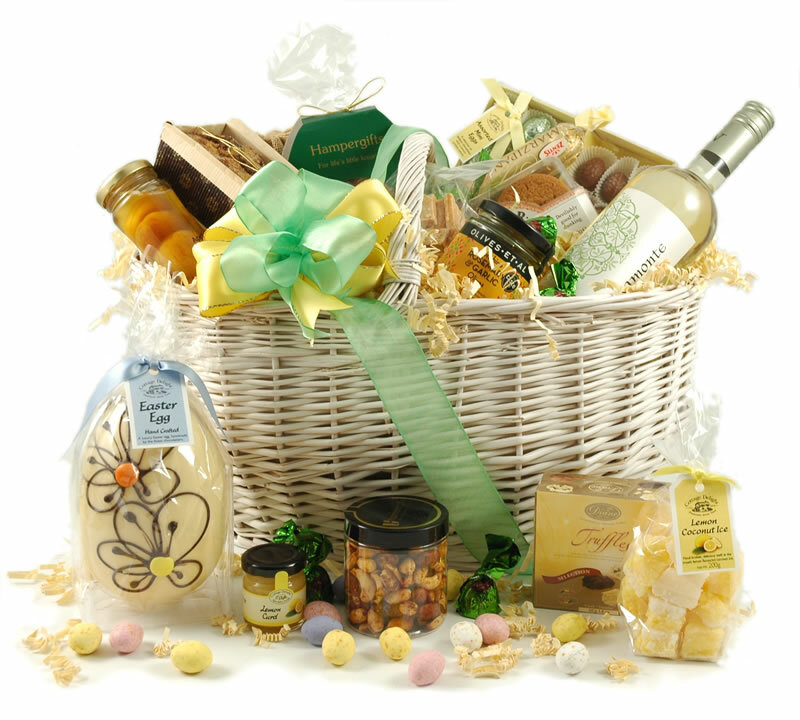 Hamper Gifts bring you a selection of Easter Hampers. If Christmas is the biggest season of indulgence, Easter can’t be far behind. At least not where chocolate is concerned! There’s something to be said for variety around this time of year – that’s why they’ve created a whole selection of Easter Hampers, combining the essential Easter eggs with plenty of other sweet treats and tasty bites. This white gift box is bursting with Easter delights. Unwrap the large chocolate Easter egg, nibble on the medal winning cranberry fudge or share out the golden mini eggs. You’ll also find a lovely hand decorated iced shortbread egg as well as cherry truffles, chocolate marzipan and pecan biscuits. If you’re looking for an Easter present with the wow factor, our charming Sweet Easter Surprise contains an amazing selection of chocolates and of course chocolate eggs. 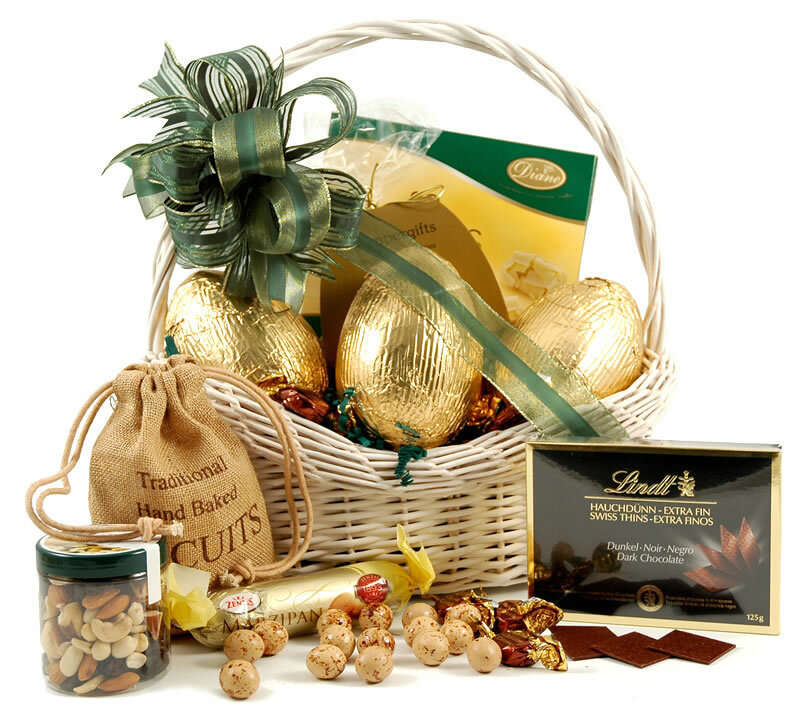 The lucky recipient of this sumptuous basket will be left in no doubt at all that the Easter bunny has paid a visit! In fact, it contains enough chocolate treats for the whole family – although you might want to keep them to yourself. This impressive Easter Tower certainly has the edge over bog-standard chocolate eggs. It does include a large chocolate Easter egg of course (it wouldn’t be Easter otherwise) – but we’ve also added a huge array of other goodies. 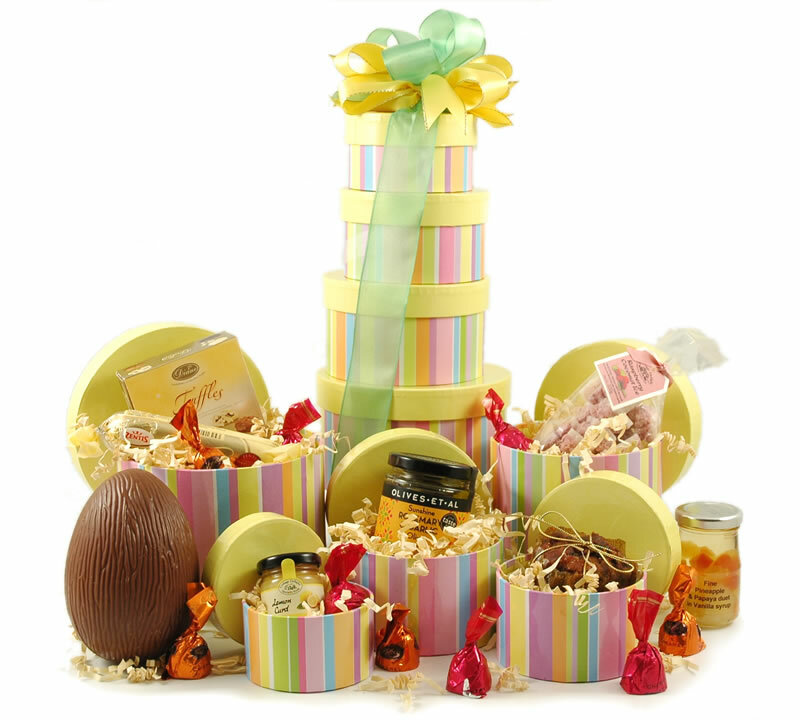 A set of striped gift boxes crammed with Easter goodies. 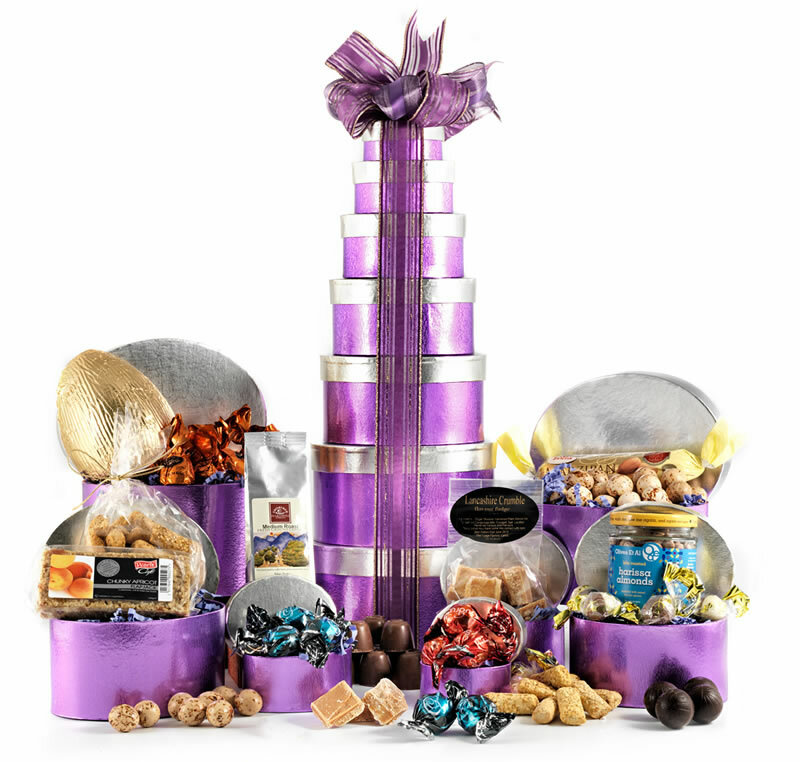 Inside the five-tier tower you’ll find raspberry coconut ice, chocolate truffles, fruit cake, marzipan, pineapple & papaya in syrup, Belgian pralines, medal winning rosemary olives and of course a large milk chocolate egg. 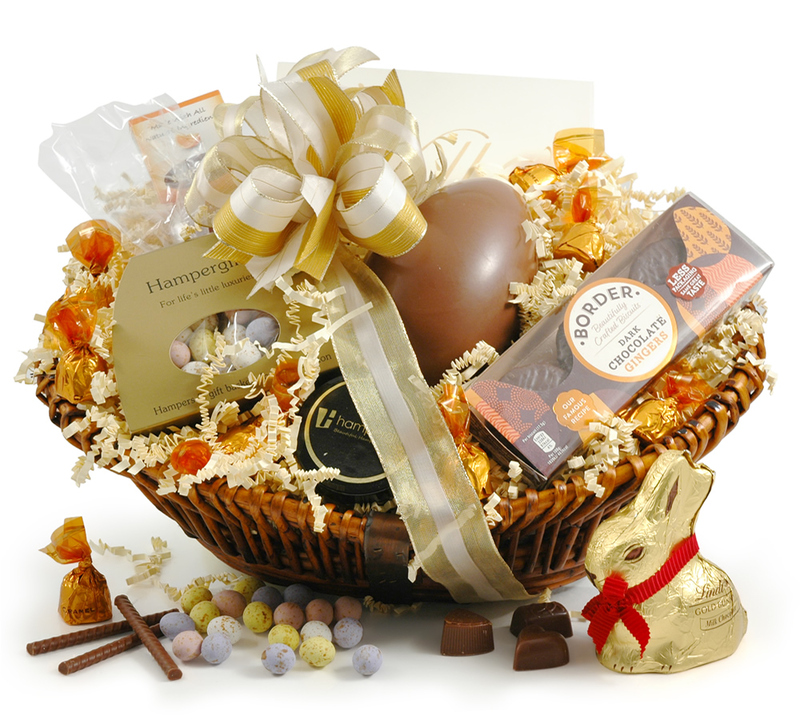 This impressive Easter hamper includes a decadent selection of chocolates, beautifully presented in a whitewash basket. Fight over the selection of mini chocolate quail eggs, enjoy melt-on-your-tongue chocolate thins from Lindt, tuck into the white chocolate Belgian pralines or sit back and slice into the dark chocolate-coated marzipan loaf. Uncork the delicious ruby-red Beaujolais, peel open the two large milk chocolate Eggs and share out the rest of the tempting goodies this Easter. 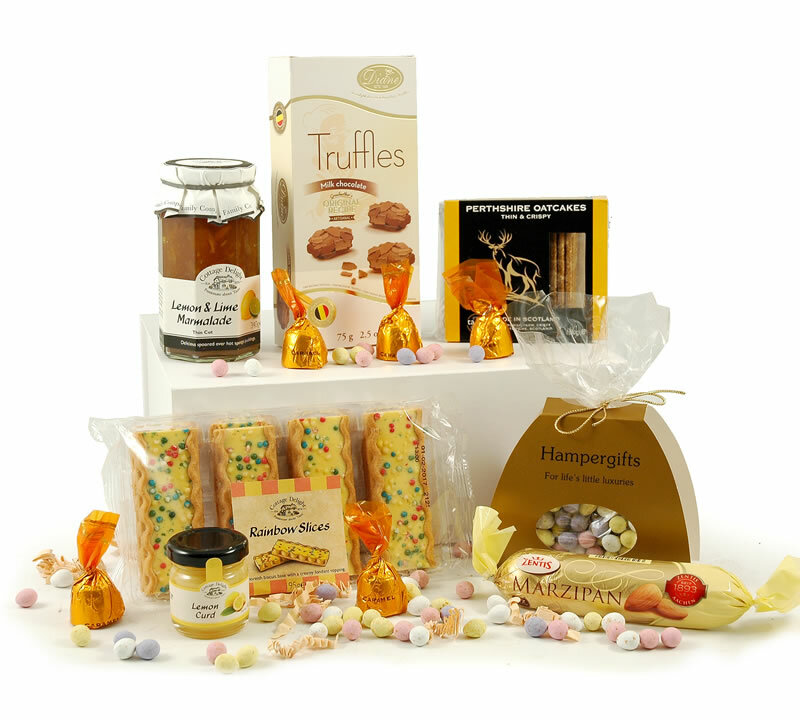 An eye-catching choice, this lovely Easter hamper includes a little something for everyone. 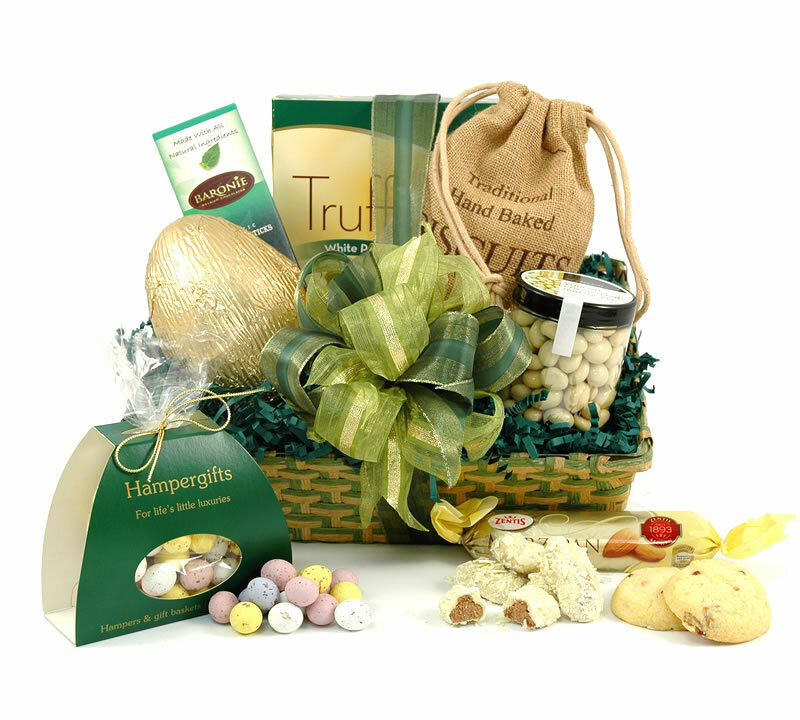 This huge wicker basket is filled with a mix of sweet and savoury goodies for the whole family to enjoy. With a crisp white wine for mum and dad, the rest can be shared out with gusto. The centrepiece is a wonderful hand crafted Belgian chocolate egg from Cottage Delight.